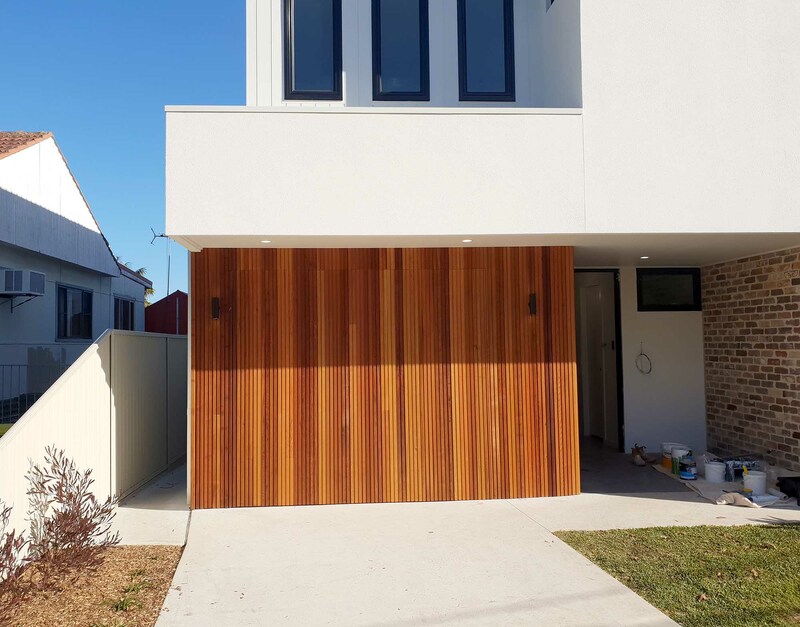 Add warmth and interest to your home with our new range of Cedar Garage doors. 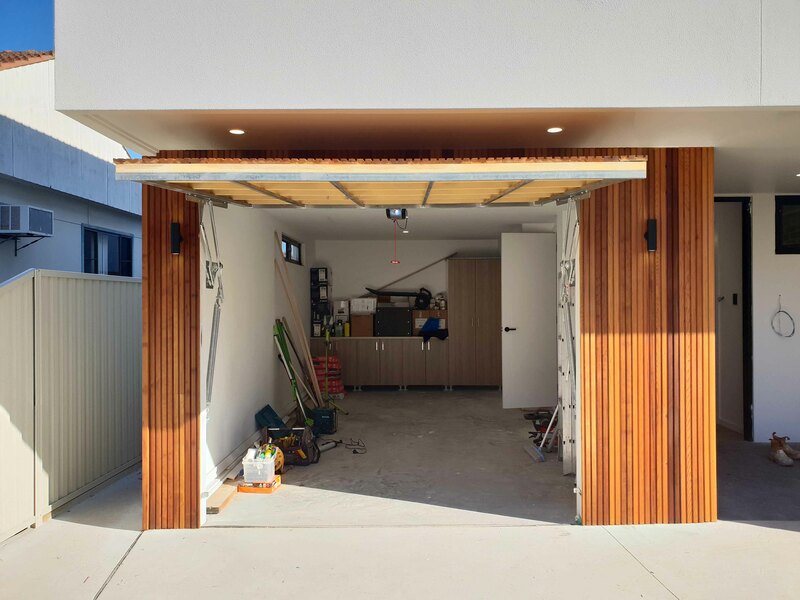 Every door is custom made to size and has all the benefits of a traditional tilting garage door. Made from Western Red Cedar, each door displays natural colour variation and character, making every door as unique as your home. Why Cedar? Well Cedar is a light weight, air and kiln dried timber that has been used in Australia for many decades. It is stable, hard wearing, easy to maintain and most importantly, it looks amazing. Our cedar doors can be supplied fully assembled and installed or, as a naked frame ready for your builder to clad & finish. The cedar is fixed vertically in what are known as battens. The battens come in a range of configurations, ask our friendly Customer Service team for details. A great reason to Motorise your new cedar door is the convenience it provides. A motor means there is no more heavy lifting, the door opens with the touch of a button. And for the ultimate in convenience, ask about our ‘Automate’ technology. With Automate, our qualified technician adds the button to your car’s dashboard. Cedar Tilt doors can be easily automated enhancing the ease of operation with a push of a button. View our sectional/tilt openers.